My default cheesecake recipe is a no-faff, no bake recipe but this set cheesecake (set with gelatine) caught my eye because of my love of coconut and raspberry. I panicked at how runny the cheesecake was, and it certainly adds tension when you pour it over the base and wait to see if your biscuit base is water-tight enough to contain it, but the gelatine then does its work resulting in a lovely soft set, summery cheesecake. The texture is lighter than any cheesecake I’ve had – almost a hybrid of mousse and marshmallow but with the unmistakable tang of cheesecake. The addition of golden syrup gave an almost flapjacky vibe to the base. I used hobnobs but any plain biscuit such as a shortbread, digestive, rich tea etc would work. I just like the oatiness of a hobnob! ng coconut milk in the body of the cheesecake gives a delicate, almost perfumed whisp of coconut to the taste – I liked it very much. It wasn’t how I’m used to coconut, which is usually desiccated coconut in a cake or biscuit – this was far more aromatic. As I made this recipe I realised that whenever anything requires cream cheese I default to Philadelphia. Does everybody do that or am I being unambitious? Place either the ring from a 20cm round springform tin or an adjustable dessert ring on the plate you’ll server the cheesecake from. Wrap the ring in either clingfilm or greaseproof paper to ensure that you can free the cheesecake easily. Alternatively, you can make this in a 30cm x 20cm traybake tin. If using the food processor method add the butter and golden syrup to the crumbs and pulse it until the butter is distributed. If using the bag method, melt the butter and syrup and stir in. Use the crumbs to line the base of the cheesecake. Press them down onto the plate but not so hard that you create biscuity concrete! Take care to go right to the edge of the ring to make a seal – the cheesecake mix is very runny and you don’t want it to leak. Refrigerate while making the cheesecake. Pour 100ml of the double cream into a saucepan and heat until almost boiling. Meanwhile, put the cream cheese, the remaining 300ml of the double cream, coconut milk and icing sugar into a bowl and beat until thick and smooth. In truth, mine never got thicker than very lightly whipped cream – it certainly wouldn’t hold a shape. 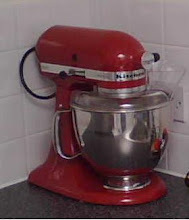 Take the cream off the heat and, after squeezing all the water from the gelatine leaves, whisk them into the hot cream. Tip the cream/gelatine mixture into the cream cheese mixture and whisk thoroughly – again, mine didn’t thicken all that much. Add half the raspberries to the mix and whisk again – you want the raspberries to break down and turn the mix a light pink. Pour the mixture over the biscuit base – pour a little at first just to make sure you have no leaks, then the rest. NB. If you do spot a little creaminess oozing out (I did) just place some kitchen towel against the outside of the mould – the chill of the fridge will stop it pretty quickly. Scatter the desiccated coconut over the top. I LOVE the look of this! I have a bit of a passion for coconut too, but I don't think I've ever come across it in a cheesecake before. I think I just did an audible intake of breath when I read the title. I love how light this looks and really like the idea of adding coconut milk to the mixture. I used to use marscarpone in my cheesecakes, but philadelphia is better for you so I use that now instead. It's very versatile! Your cheesecake looks lovely too. I am partial to baked cheesecakes, NY style, but I must say this looks really good. Looks lovely, and I am not even a big Coconut fan! This looks amazing! It is such a pretty colour, and raspberries are fantastic in anything. Beautiful cheesecake CC. I like the creaminess of the cheesecake layer. Philly for me too, every time. Oh wow! coconut and raspberry is one of my all time favourite flavour combos too and baking it in a cheesecake is genius! This looks SO yummy! I always use Philadelphia too... because it's the best, I've used supermarket own brands and in particular cream cheese frostings don't work out when I have done that so it's Phili all the way! 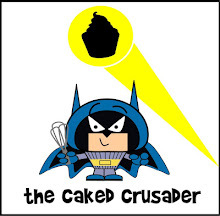 Hmmm, I am normally a baked cheesecake kinda gal too, but this is a very compelling argument! I've been experimenting with coconut cream ice cream this week, but this sounds much nicer. After all, cream cheese makes everything better, doesn't it? This look absolutely divine!! Love it! I am loving coconut and raspberry at the moment! This looks delicious! Gorgeous sounding cheesecake and really like the idea of using coconut milk. Not sure I've ever tried raspberries and coconut - will have to remedy that fast. I usually use Philadelphia as it is the easiest to get hold of, but occasionally make my own. This cheesecake looks and sounds amazing, am really looking forward to trying it. Looks yummy! I'm not sure what "double cream" is (US Heavy cream? ), but I want to find out. And I always use Philly - store brand I have tried just wasn't teh same. Yes, double cream is the same as heavy cream.